It's about the time of year when I start the often lengthy process of planning my holidays. When I was younger this would involve negotiations with others in the family and a fruitless quest to try and please everyone. Nowadays, it turns out that pleasing myself is even more difficult. Or at least, there are too many options and not enough time, and I can't make up my mind what to prioritise. I also now have to accept that the physical limitations mean I will not always enjoy the kind of things I would have wanted to do previously. Oddly enough, though, I still managed to have an excellent time at Alton Towers last year, and was able, more or less, to spend whole days on my feet without too many after-effects. It just shows that it isn't only time that flies when you're enjoying yourself! I suppose I may have to be more restrained in my choice of settings or possibly more expert in my use of Google Maps in future. When I set out to write a couple of historical novels set in and around Brighton, I was fairly confident I could cope with the setting without re-visiting it, although it has turned out that having been born there not long after WW2 doesn't mean you know everything there is to know about a place. The second in the series, for some inexplicable reason, has turned out to be set mostly on the Isle of Oxney, just outside Romney Marsh, with some scenes taking place at the Baie de Somme, at the other side of the Channel. In some ways the two locations have a lot in common, including the (to me) irresistible draw of a little train that runs round the coast! I've now researched travel and accommodation, and found it would be possible to combine both areas in the same trip, if only I were much more organised than I really am. As the part of the journey that will take longest is from Edinburgh to London, it would make sense to pop over to France while I'm in the South. So far I've only gone as far as acquiring a map of Romney Marsh for Christmas, buying a book of walks in Kent and asking my son if he wants to come with me in case I get lost on one of the walks. It isn't so much that he is better than I am at not getting lost, since he appears to have inherited a gene from the other side of the family that means he doesn't pay enough attention to his surroundings, but that he is quite a lot more likely than I am to have his mobile phone charged up, on his person and with sufficient credit to call for help in an emergency. I am also beginning to be worried about setting off on a walk and not having the energy or muscle power to get back, so it seems sensible not to go charging off into the countryside on my own, as I have been known to do in the past. I'm still not completely convinced you need to visit a place to use it as a setting. In fact, seeing it as it is now might even get in the way of the story you want to tell. I've always thought that after finally retiring from my day job, a prospect that seems to recede into the distance as I approach it, I'd like to organise a journey down the Rhine, through the Alps and into Italy if possible, by train. I love travelling by train, although I realise that part of the attraction is that I enjoy the planning stages so much. When I was much younger I bought a Thomas Cook European rail timetable so that I could work out journeys all over the place, and now I have a copy of the Man in Seat 61 guide. If only I had taken more notice of the Man in Seat 61 when I made the arrangements for my work trip to a conference in Finland, I wouldn't have ended up stranded in Malmo with nowhere to stay the night, but that's another story. While researching for a different book, set in Spain, last year, I became fascinated by obscure Spanish railways and decided I wanted to go to the station at Canfranc, in the Pyrenees. Fortunately Chris Tarrant visited it in one of his 'Extreme Railways' documentaries, so I don't have to. I feel the same about the Himalayas after Michael Palin's television series. There are places in this country I have always wanted to visit too, but somehow they seem too close by for me to bother planning a visit. There's Whitby, Dartmoor (not in this weather though! ), Kielder Water, Kyle of Lochalsh, Skye, Portmeirion, to name but a few. Berlin and Chicago. Stockholm, and not just the bit around the Central Station the next time. Paris. I doubt if I can fit any of these in before I retire, although perhaps after that I will not be fit for anything more than a light stroll to the local shops, and who knows what effect Brexit may have on Eurostar and foreign travel generally? (I was trying not to mention Brexit but actually that is quite a big reason to procrastinate this year). Holy Island. Helmsdale, in Sutherland. York. In fact we will almost certainly go to York again this summer to see another play in the temporary Shakespeare Theatre, but that will only be for the day. 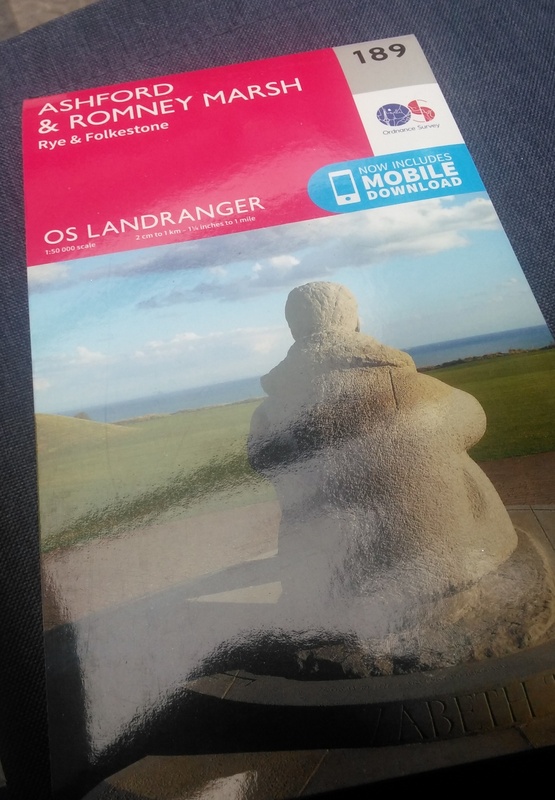 Because I get so much enjoyment from planning journeys, I suppose when it gets to the point where I am not capable of actually travelling any more, I won't be too devastated. Or will I? Maybe the only reason I enjoy it so much is because most of these trips are still theoretically possible. I'm quite a literary nomad myself and grab every possible opportunity to hit the road. Come back to Chicago! I'm intrigued by your mention of obscure Spanish railways - I didn't know there were any. Obscure ones, that is (which just shows the obscurity thing is working). I love the sound of all the places on your list. Go to as many as you can, and don't even THINK about ever not being able to travel. Looking at a number of very elderly people I know, it's amazing how the human frame can carry on travelling, even with mobility difficulties, if the determination and enjoyment are there. 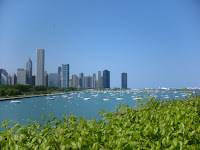 Dipika, I would come back to Chicago at the drop of a hat, I really love it. 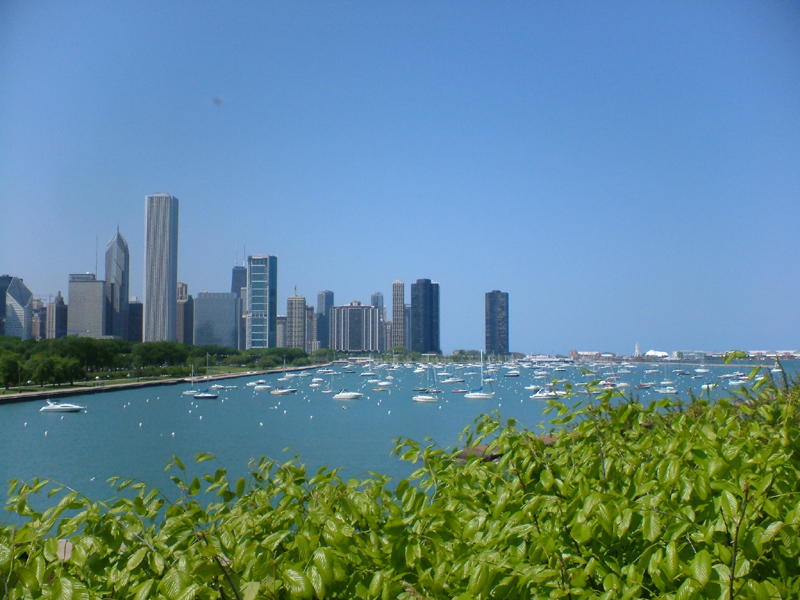 I think what sold it to me in the first place was that I was a big fan of Sara Paretsky's novels and it was great to see Lake Shore Drive, and the El. Thanks Griselda - such an encouraging comment!